Biogas digesters transform poo into power by capturing the methane poo releases and channeling it into homes for clean fuel. 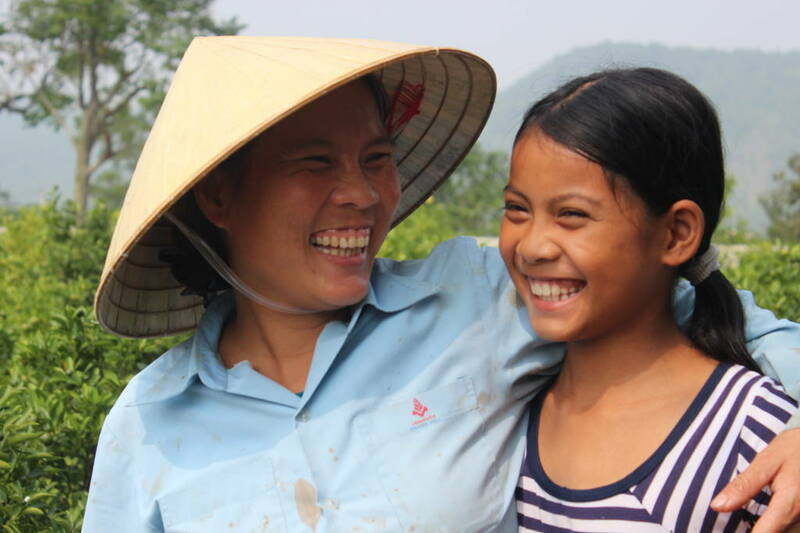 In rural Vietnam, family farms are building digesters to manage waste and gain access to clean energy. One digester produces enough methane to provide free low-cost energy for cooking or other needs in several homes, saving families money. By channeling and reusing methane from the waste, biodigesters reduce emissions from this greenhouse gas that is 25 times more harmful to the environment than carbon dioxide. Also, families do not have to use firewood, helping to protect local forests. Doo Doo is definitely doing more. Bottom Line: By redirecting methane, we can have a direct effect on improving quality of life in Vietnamese communities while helping the planet. A biodigester is a mechanical stomach that converts biological waste (a.k.a. poo) into energy. To achieve this transformation, the waste is mixed with water inside the digester. Bacteria decomposes the sludge and produces methane. The digester then directs the gas into homes where it is used for cooking or lighting. And one more thing: the process also creates a sustainable organic fertilizer that enhances crop production. Your donation will benefit locals who receive clean energy, masons who receive employment training, families who are saved hours of daily work, and lungs which will be made healthier. Added bonus: you’ll also provide hope for the 7.4 billion+ people who call the Earth home. Thanks to biogas digesters, Mrs. Nguyen of the Thai Nguyen province no longer has to collect firewood for cooking. This means she has up to two additional hours that she can spend with her three kids. Mrs. Nguyen spends much of this time educating her children to supplement what they learn in their village school. We are inspired by the profound effect this project has had on her family and many others in Vietnam. Biogas projects are not easy to execute in developing countries because of the high initial cost of construction and maintenance issues that are attributed to the design of biodigesters and their acclimatization to local environmental conditions. Despite biogas digesters being manually operated, the waste collection system is designed in a way that minimizes human contact with the waste. The project’s greenhouse gas quantification procedures are complex, but we have found that the calculations are correct and conservative.